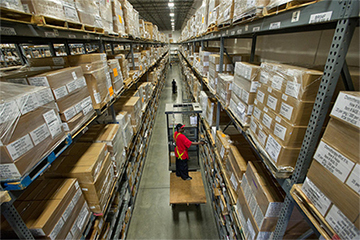 Tips for a Successful Annual Inventory Count. The challenge of an inventory count is that everyone really needs to know how to count and what they are counting. It may seem like I am picking on my co-worker’s ability to count, but I am referring to common counting errors that occur because of package sizes. If five blades come in the package, do we count it as 1 or 5? Unfortunately, the teenage son of the accounts payable manager is probably not going to know the answer. This is why I believe that the inventory in the system on Friday is probably more accurate than what we have on record after the counting weekend. Since many of us are forced to go through the annual counting ritual because of an outside party, I would like offer some suggestions on how to make it better. These are observations based on participating and running so many of these events. Clean the warehouse. Cleanliness is next to godliness in wholesale distribution. When I go visit a distributors warehouse, I can usually get a sense of the inventory accuracy by whether the place is organized. If I see boxes in the aisles, items tucked in the corners and cobwebs on the broom handle, I know that these folks are probably not paying much attention to accuracy. The folks in customer service probably share my opinion and don’t have a whole lot of faith in the inventory numbers on the screen. Do some counting before the event. Over the years I have seen this attempted several time, but unfortunately it tends to create confusion on the day of the event. Some distributors will try to count a particular product line or category. For me, it was broken boxes of fasteners that needed to be weighed out. Invariably, we would try to count one of our faster moving items and the count would change before the event. This leads to a duplication of counting effort. The best way to count ahead of the event is to pick off the slower moving items. Run a hits ranking and try to count the bottom 25% of the list ahead of time. By their very nature, these items will rarely move within the next 6 weeks. Have your material handling team count the items. Identify the counted items with a large fluorescent sticker containing the quantity found. You will most likely have to enter the count during the day of the event or the system will trigger a recount because nothing was entered. Freeze the business. On the evening before the event, you need to stop doing business. This may sound silly, but I have had to chase more than one salesman off the system while the count was going on. It is a bad idea to have inventory moving while you are making a physical count. Run an open transfer report. What items have not made it to their final destination? Make sure that the inventory is allocated to the proper location. Make sure that printed pick tickets are pulled off the shelf and staged. If you leave inventory on the shelf you will trigger a discrepancy. This will force the count to drag out while the problem is corrected. If an order does not need to be picked until a later date, make sure to enter it as a future order. The system will handle inventory allocation differently and not screw up the count. If you have received inventory into the system, get it on the shelf. Any inventory that has not be entered into the system must be clearly identified with “DO NOT COUNT” signage. According to the system, it hasn’t hit our dock. Create the count teams ahead of time. Do not leave this up to your employees. Invariably, inexperienced people will wind up together. You really want an experienced person with a person who doesn’t regularly touch the inventory. Make sure that everyone knows the role they play in the team. In order to get the best count, the experienced person should be counting the items while the rookie does the recording. Too often, the rookie is sent up the pallet rack. This is where we run into unit of measure and packaging problems. By having the sales people combing over our stocking items, perhaps they will be reminded of the breadth of product we invest in. Count shelf to sheet. Too often I see people looking down at the count sheet and calling out a part number. The seeker goes to find the item and give the count. This can cause us to skip around on the shelf and miss things that fit in the cracks. By counting shelf to sheet, the counter is directing the team. Look at the shelf, count the item and find it on the sheet. By using this method, we add an element of discovery. Over the course of the year, non-stock items magically appear on the shelf. When a customer decides not to take an item we have bought for them, we should return it directly to the supplier. Unfortunately, we tend to be really poor at returning non-stock items. It is much easier to shoehorn it into the shelves close to similar items. If the non-stock item is not entered into the system, or staged in a return area, we have no chance of getting our money out. Run the variance by units. Many distributors set their acceptable variance by dollars. Anything outside an acceptable dollar variance will trigger a recount of that item. This is great if you are trying to figure out how much cash you have in the warehouse. It does nothing to improve the customer service aspect of your inventory accuracy. I can remember looking at a supplier line after a count. We were only off by $200 on the whole line. When we had about $40,000 invested in the line, a $200 variance looked pretty good. Most people would say that our counts were really accurate. As I looked at a variance report by units, it read like a Coney Island roller coaster. We increased the items on some and decreased on others. The dollars balanced out, but the unit counts were all over the place. While we were busy patting ourselves on the back, our customer service people knew what was up. They still couldn’t trust the system. These are just a few suggestions based on my experience. There are countless more tips and tricks that you all have come across. I would love to hear them. The annual count has been a distribution staple for many years. It is wrought with failure and leads to further inefficiency. In lieu of a solid cycle counting program, the counting event is a necessary evil. With a clearly defined plan and a little organization ahead of time, it can be a little less painful that the one last year. Good luck.